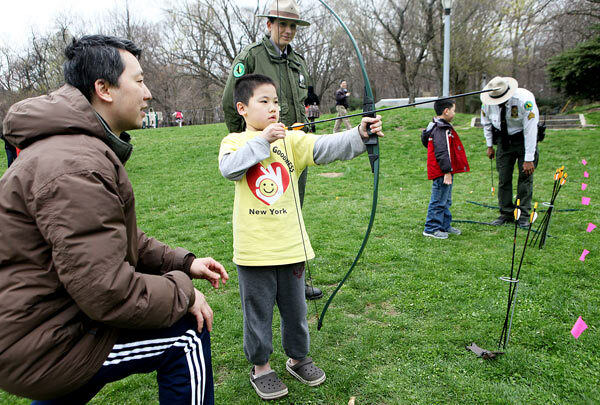 Rosenthal’s bill would also ban school archery programs, which are promoted by New York’s Department of Environmental Conservation and include 34,000 students in 320 schools. Janna Recchio of Rome in central New York said her 11-year-old daughter, Gina, was introduced to archery in fifth-grade gym class in January and just two months later was able to qualify for the national tournament in Louisville, Kentucky. Without getting into the wider debate around gun culture in the US, this is a terrible development, because it lumps our sport in as merely part of a bundle of ‘shooting sports’, when it is (while related) for almost all intents and purposes something completely different from gun sports. While a handful of national federations (e.g. Germany) bring archery and shooting under the same umbrella, in most cases these are separate both logistically and often culturally too. Worse, it it merely indicative of a general public ignorance around archery and a political desire to paint in broad brush strokes, rather than actually tackling the problem at hand. I don’t know much about archery in New York state – I’ve only been to Gotham Archery in NYC, and that is an indoor commercial range in the same, very very safe vein as many modern shops around the world – but getting rid of a junior program with that many people is obviously an appalling idea. I am personally very ambivalent about crossbows, although I admit know very little about modern crossbow shooting. (You can decide for yourself if crossbows are or are not archery). Am very sure that crossbow groups are as safely run and well-organised as any other, but several recent high profile incidents in the UK have gone some way to reinforcing the general public notion that crossbows are dangerous and mostly bought by idiots. The problem is that archery as a collective community – from clubs to governing bodies – have little to gain by welcoming crossbows fully into the fold. Archery’s stock, as a sporting brand, is still in the ascendant, and any increase of the public perception that ‘archery is dangerous’ is only going to hurt that. Whatever happens in New York state, it is a reminder that modern archery exists in many places because of public perceptions of its utility and safety, and we as a community need to be continuously vigilant to make sure that people are educated about the sport.